Mysuru: In the home turf of Mysuru Lok Sabha segment, Congress strongman Siddharamaiah is facing an acid test on the lines of neighbouring Mandya where Chief Minister H.D. Kumaraswamy is waging a high-stake battle in favour of his son Nikhil Kumaraswamy, who is pitted against actress Sumalatha Ambarish. 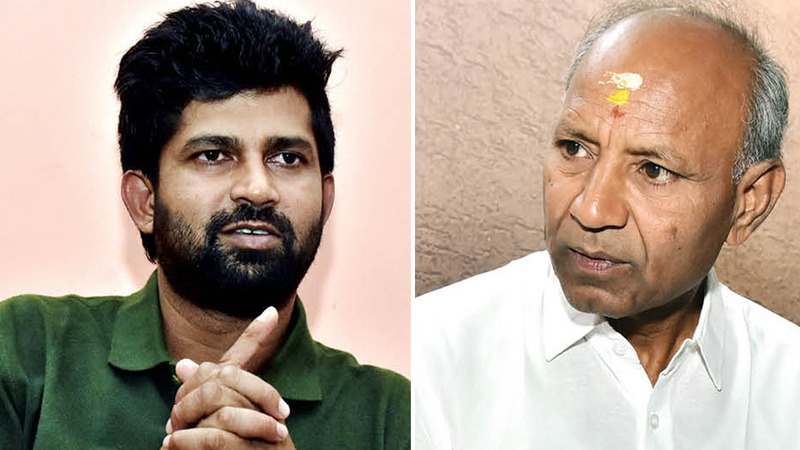 The election fever is turning hotter in the Mysuru segment which has turned a BJP stronghold after the advent of sitting BJP MP and outspoken Pratap Simha, who is giving sleepless nights to Siddharamaiah. Siddharamaiah had convinced the party high command to nominate C.H. Vijayashankar, who shifted his base from BJP to Congress recently. For the first time in recent decades, Mysuru-Kodagu will witness a direct fight in which the Congress-Janata Dal (Secular) combine will be pitted against the BJP, besides a slew of independents and political parties on the fringes, who are likely to end up as passers-by. It looks like an even contest. Though the Congress has won eight of the 10 elections held since 1977, the BJP managed to wrest the seat from the Congress on three occasions (1998, 2004 and 2014) and with the victory margin gradually shrinking — as evident in the results of the last three Parliamentary elections — the Constituency is no longer a “safe seat” by any reckoning for both Congress and the BJP. The Constituency is a blend of Vokkaligas, Kurubas, Dalits, Lingayats, Naiks and religious minorities, and caste equations, as in most other Constituencies, play a significant role in the final outcome here. 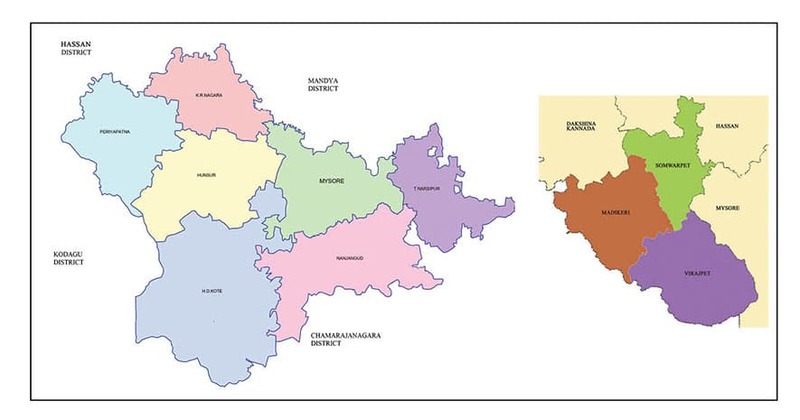 After 2009 delimitation, the Constituency comprises Krishnaraja, Narasimharaja, Chamaraja, Hunsur, Periyapatna and Chamundeshwari Assembly segments from Mysuru district and Madikeri and Virajpet Assembly segments from Kodagu district. On the development front, Mysuru urban is witnessing a sea-change due to the spill-over effect of Bengaluru’s never-ending growth, and improved connectivity. The gradual influx of Information Technology companies, growth in tourism and projection of Mysuru as a preferred investment destination has resulted in large-scale conversion of agricultural land for non-agricultural purposes and is changing the occupation profile in Mysuru taluk. Though Mysuru was traditionally a Congress bastion, the gradual rise of the BJP across the political landscape in the country had its impact in this Constituency as well and the party wrested the seat for the first time in the 1998 elections. Pratap Simha made the difference in 2014. Despite being a political novice, the journalist-turned-politician made waves during his five-year term and with the backing of voters in Kodagu district, which is part of the segment, he is likely to have an edge. LS seat, four were won by the BJP (Chamaraja, Krishnaraja, Madikeri and Virajpet), three by JD-S (Chamundeshwari, Hunsur, Periyapatna) and the lone seat won by Congress in Narasimharaja Constituency. Also, the region has a history of vibrant political activism which evolved during the freedom struggle, and in response to popular demand, erstwhile Mysore Kingdom ruler Krishnaraja Wadiyar IV introduced reservation in jobs for backward class groups in the State services in 1919 that became a benchmark for reservation policy in India after Independence. BJP won the segment on two more occasions — in 2004 and 2014 when the Constituency used to witness a triangular fight involving the Congress, BJP and the Janata Party in its different avatars, including the Janata Dal since 1996. Geographically, Mysuru-Kodagu Lok Sabha Constituency is part of the Cauvery basin in Old Mysuru region. Drained by two major rivers, the Cauvery and the Kapila, the economy is agrarian with the bulk of the country’s tobacco and coffee cultivated in the region. Tourism is another important sector having a bearing on the local economy of both Mysuru and Kodagu and the city’s proximity to India’s Silicon Valley Bengaluru, which is 140 kms away, has helped Mysuru emerge as an investment destination with potential, altering the region’s social profile in the recent times. 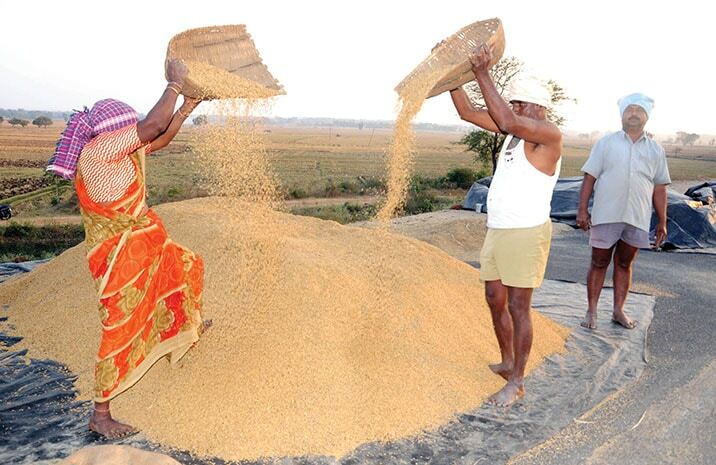 Mysuru-Kodagu has an agrarian economy with crops like paddy, coffee and tobacco. But statistics indicate that the combined vote share of the Congress and the Janata Dal has been numerically higher than what the BJP had harvested in all the elections, at least in recent elections when it grew strong, that it won since 1998. Political observers are of the view that the ensuing battle between the Congress-JD(S) combine against the BJP will be an interesting tussle in which the latter cannot have it easy despite Pratap Simha being active and hogging the limelight. It was in the 1998 elections that the BJP first breached the Congress citadel and its candidate Vijayashankar, now being fielded as a Congress candidate, polled 3,55,846 votes against his nearest rival S. Chikkamadu of the Congress who got 2,52,822 votes. Janata Dal candidate was G.T. Devegowda who secured 2,23,385 votes and the combined vote share of both the Congress and the Janata Dal surpassed the number of votes polled by the BJP by a huge margin. The second time the BJP won was in 2004 elections when the victory margin was hardly 10,000 votes and Vijayashankar polled 3,16,442 votes as against 3,06,292 votes by A.S. Guruswamy of the JD(S) while late scion of Mysore royal family Srikantadatta Narasimharaja Wadiyar of the Congress got 2,99,227 votes and trailed in the third place. But the combined votes of both the Congress and the JD(S) were higher than the votes secured by the BJP. In the 2014 elections, under the Modi wave, BJP candidate Pratap Simha polled 5,03,908 votes while A.H. Vishwanath of Congress trailed behind him by securing 4,72,300 votes. Combining the votes polled by JD(S) candidate S. Chandrashekharaiah, who secured 1,38,587 votes, Congress-JD(S) combination had a higher vote share in a Constituency of nearly 17.23 lakh voters. But in this election whether the vote combination will be the same, paving way for Congress candidate Vijayashankar or will BJP’s Pratap Simha again ride on Modi wave, will be known only on May 23. BJP always won when the Opposition was divided and hence it would be interesting to see if the BJP can ward off the challenge posed by a combined opposition in Mysuru. Though statistics are against it, BJP functionaries aver that despite pretensions of being united, the shadow boxing of the JD(S) and the Congress continues and will be reflected in the polling as well to benefit the BJP. They say that people would vote for a strong and decisive Government at the Centre, thus hinting that the BJP would also depend on the Modi factor to swing the results in its favour. 100% Pratap Simha will win, Calculation on paper looks good for Cong-JDS when it comes to practicality things are different. How conveniently author forgot to mention the fact of devegowda backing in the last assembly election to defeat Vishwanath. Devegowda openly backed Pratap simha in 2014 by putting dummy candidate to start with (Chandrashekariah) and then in last few days of election he openly instructed to work towards Pratap’s winning. Every Vokkaliga community in mysore segment knows about it. This time scenario is different. Pratap cant win on his own just by doing facebook promotions and blind appeasing of Modi. Everyone knows SOM’s political stand anyways. Mysoreans know what works. Right now Pratap simha has done some valuable work and contributed significantly towards Mysore developments. On top of that, he is not taking credit for himself. He is dedicating everything to Modi. That is very humble gesture. Mysoreans knows best who should be their MP and I feel the incumbent should be given a second chance.